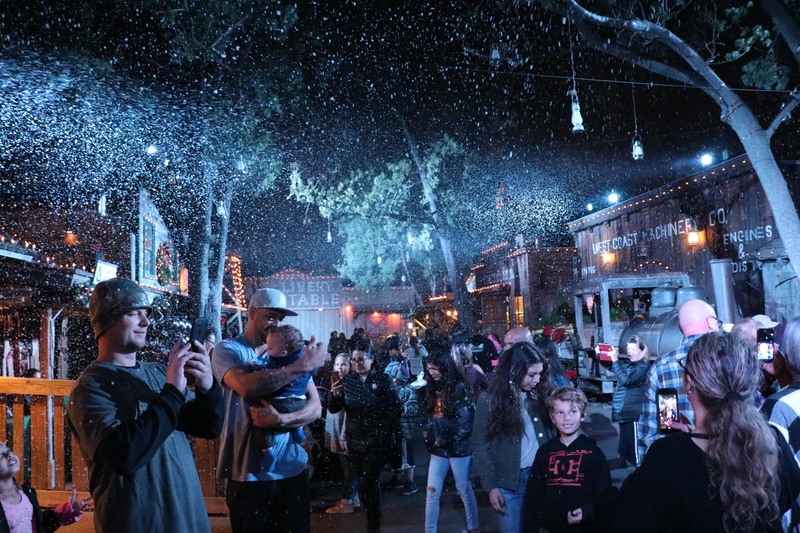 The Warm Spirit of Christmas is Alive and Well at Knott’s Merry Farm for 2018! 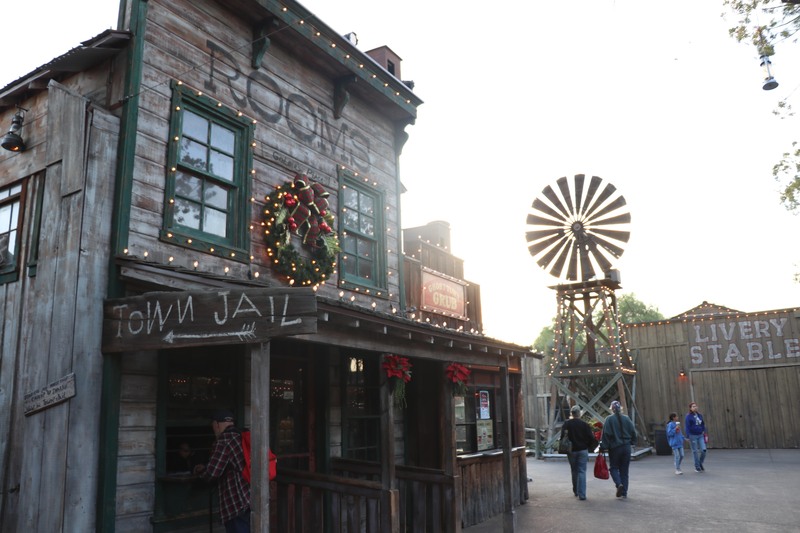 At Knott’s Merry Farm in 2018, you can find more to do than ever before! When November 1st rolls around, it’s an odd feeling. The fog has dissipated, the monsters have climbed back into their crypts and the atmosphere changes. We say farewell to the creepy and scary season of Halloween, and we welcome in the cheerful and spirited Christmas season. 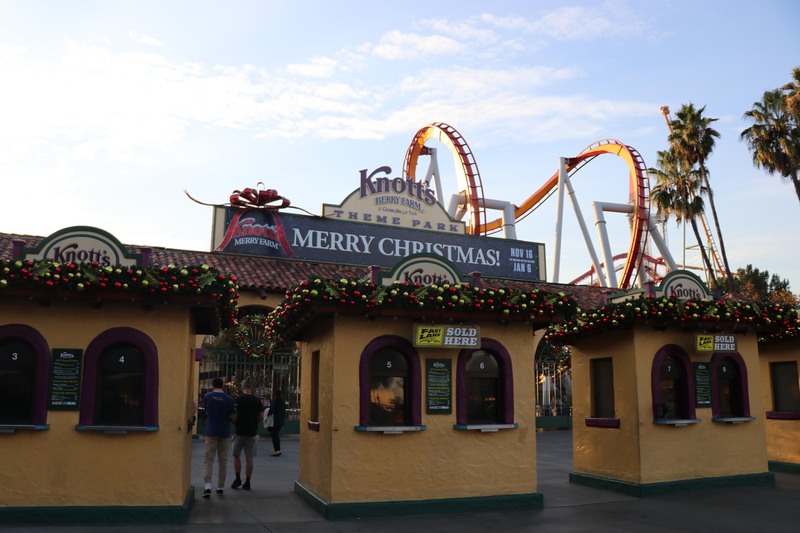 Knott’s Berry Farm completely transforms into Knott’s Merry Farm. 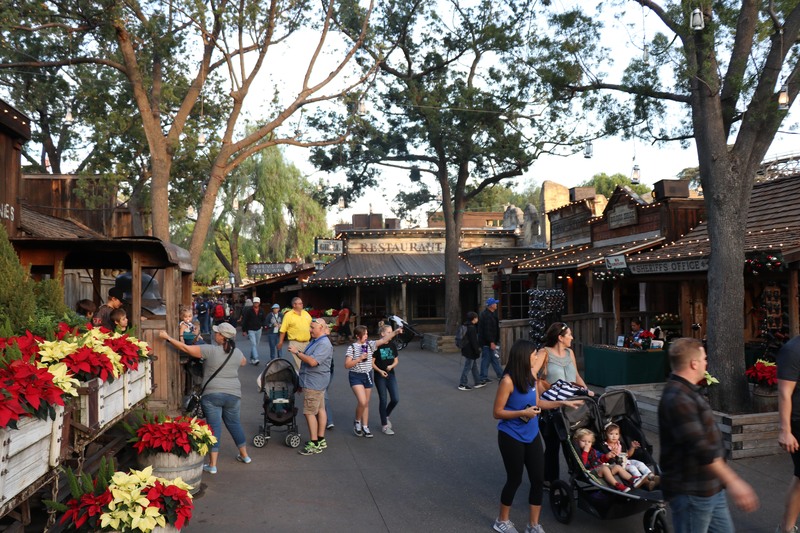 For 2018, Knott’s has created an even bigger event that encompasses every aspect of the park. It truly feels as though the warmth of Christmas has permeated every corner of the park. The opening night of Merry Farm was celebrated with 15 chapters of the Boys and Girls Club Orange County. All of them crowded around the massive Christmas tree in Calico Square to witness the lighting. 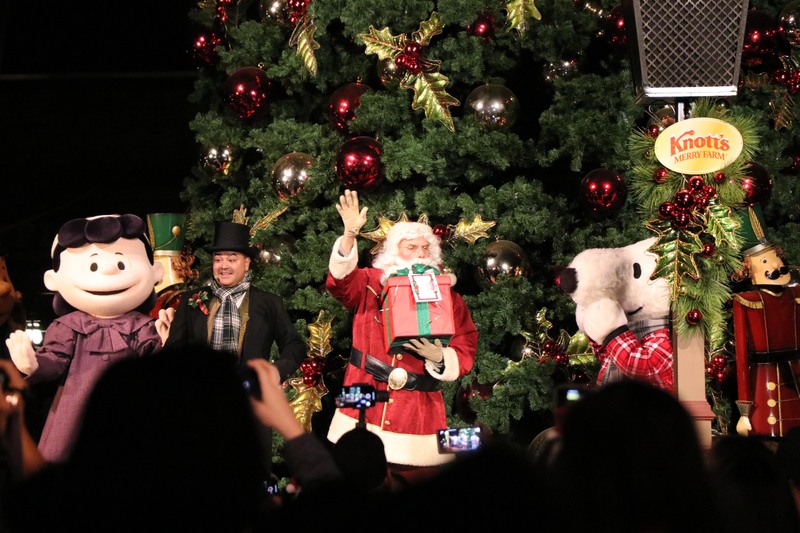 Before the lighting, all the attendees were able to enjoy classic holiday songs by the Little Chapel Bell Choir, a dance number performed by Santa, Snoopy and the PEANUTS gang. Santa Claus delivered a gift for two children from the Boys and Girls Club which contained a magical ornament that held the light of Christmas. 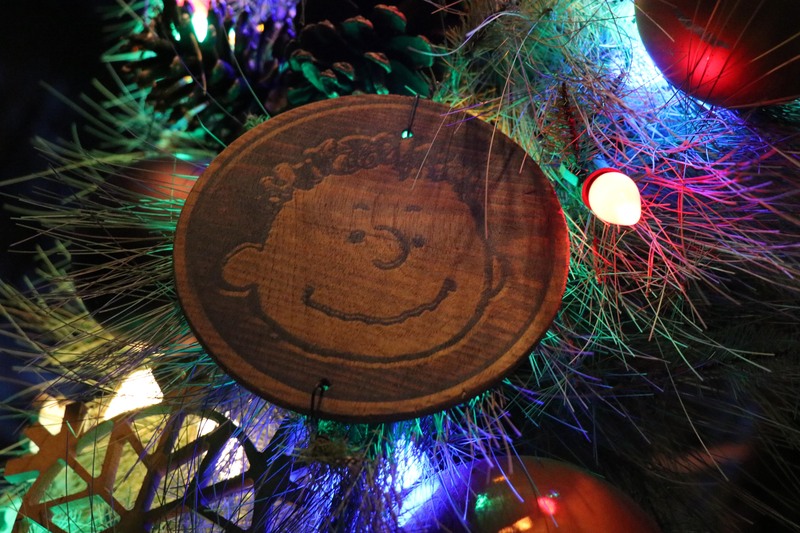 Once the children placed the ornament on the Christmas tree, it’s dozens of twinkling lights illuminated the tree which culminated with snow falling on to the visiting Boys and Girls Club members gathered in the area. 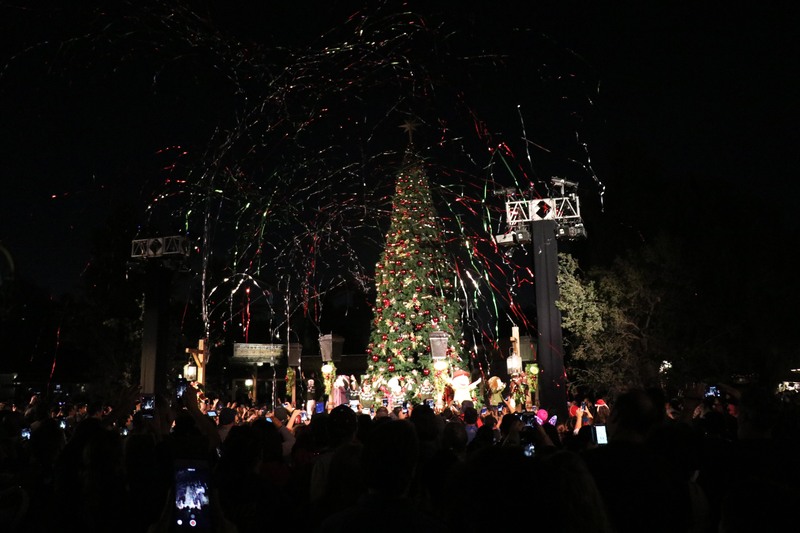 The most notable changes to the park are just how beautiful it becomes during the Holiday season. 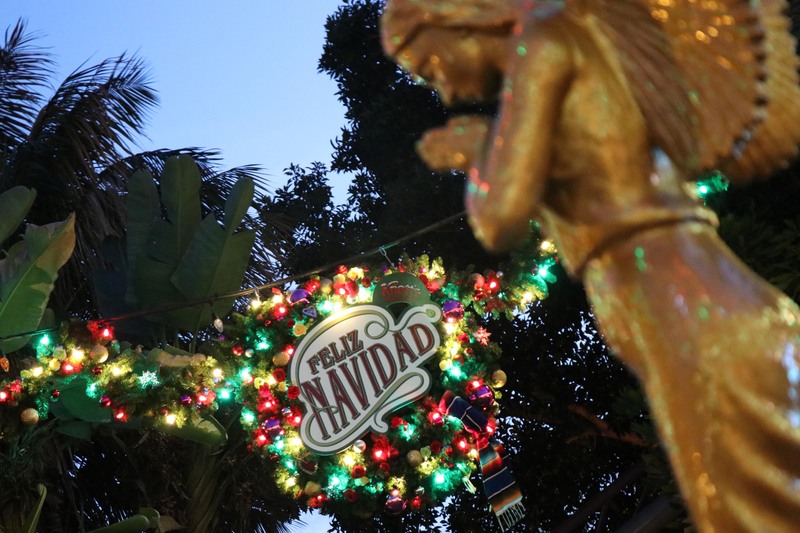 An already beautiful park is now complimented by the traditional decorations of the Christmas season. 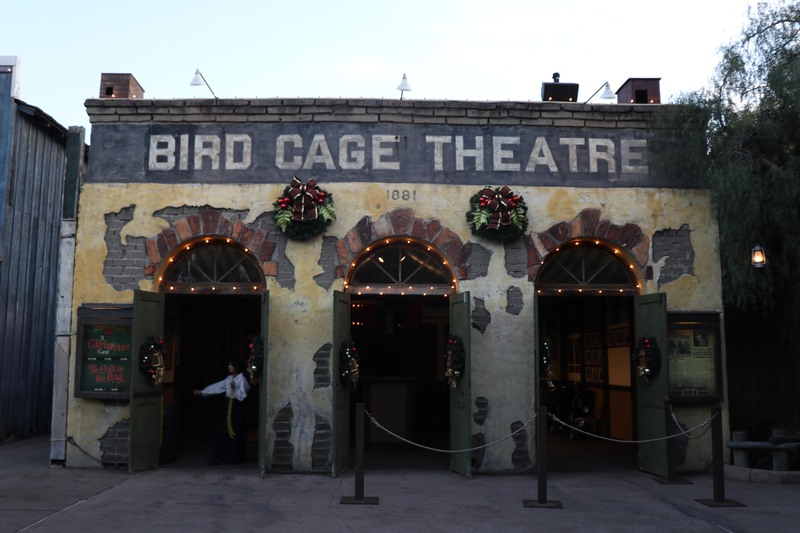 You’ll find Christmas wreaths and garland throughout the park adorning rides and stores. But they are all specific to the lands they decorate. 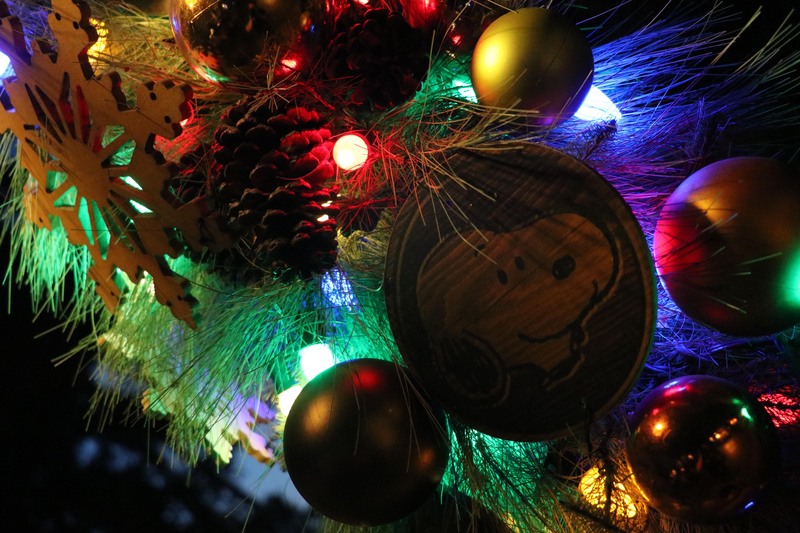 For instance, you won’t find the same decorations in Camp Snoopy as you would in Ghost Town or Fiesta Village. It’s that attention to detail that creates the park wide immersion into Christmas. The decorations and lights are simplistic, but not minimalistic in nature. 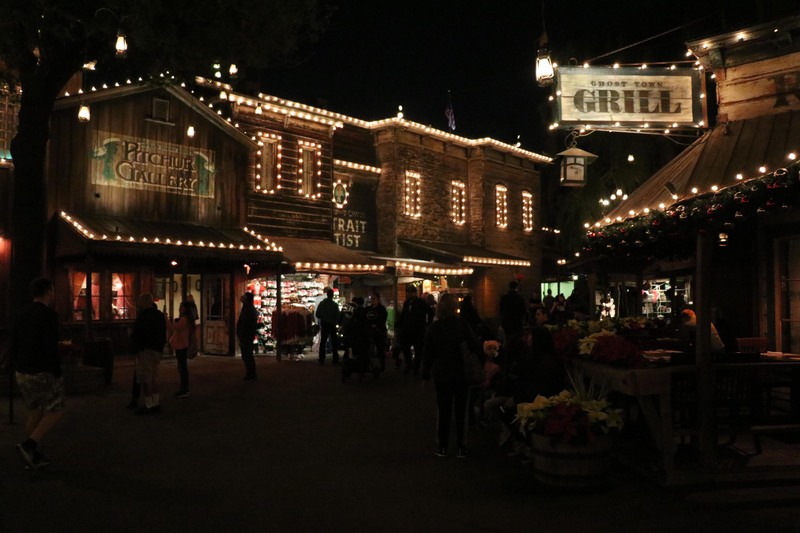 We actually think the simplistic nature of the Christmas decor works perfectly with the theming of Ghost Town and the other themed areas of the park. You want the decorations to accent the park, but not ever power it. 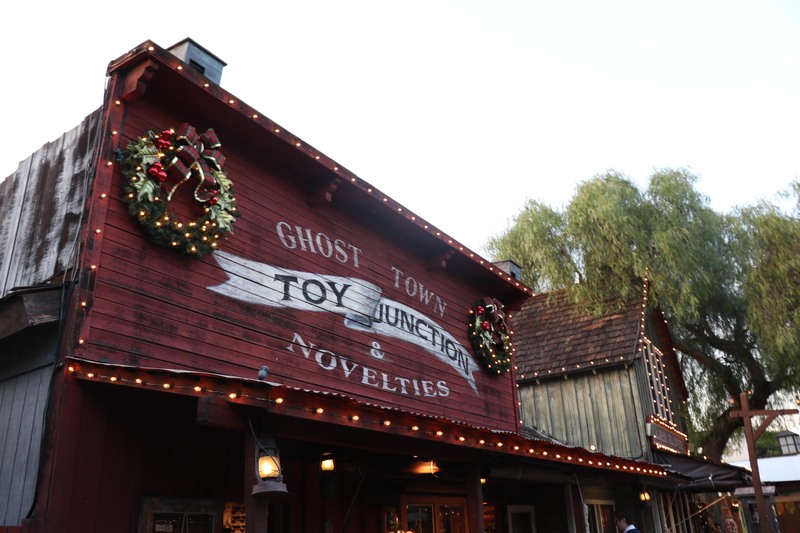 In Ghost Town, you will find the Christmas Crafts Village; which has become a tradition for the holiday season. Crafters and Artists from all over SoCal set up booths for guests to purchase items. In previous years, we’ve purchase candles, aprons, hats and even food from some of the stands. 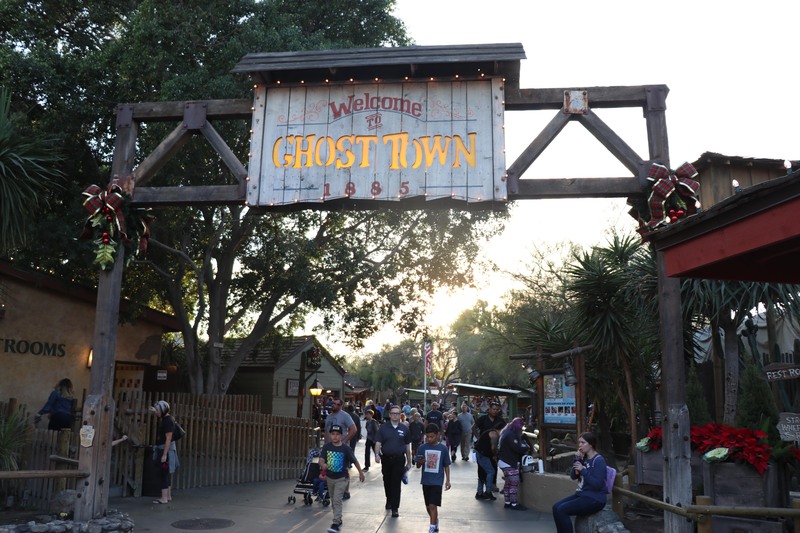 It’s a great opportunity to look for some fun and unique gifts for family and friends while enjoying Ghost Town with a nice big cup of hot chocolate. 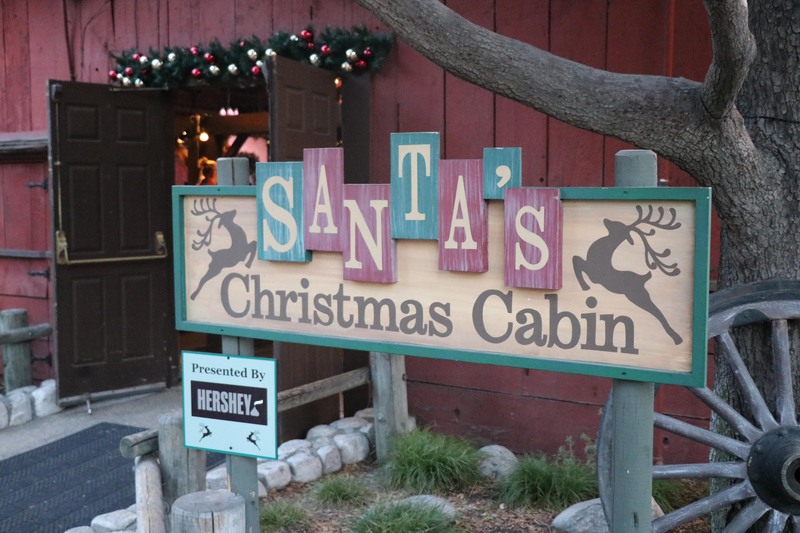 Speaking of hot chocolate, we cannot forget Santa’s Christmas Cabin in Ghost Town! 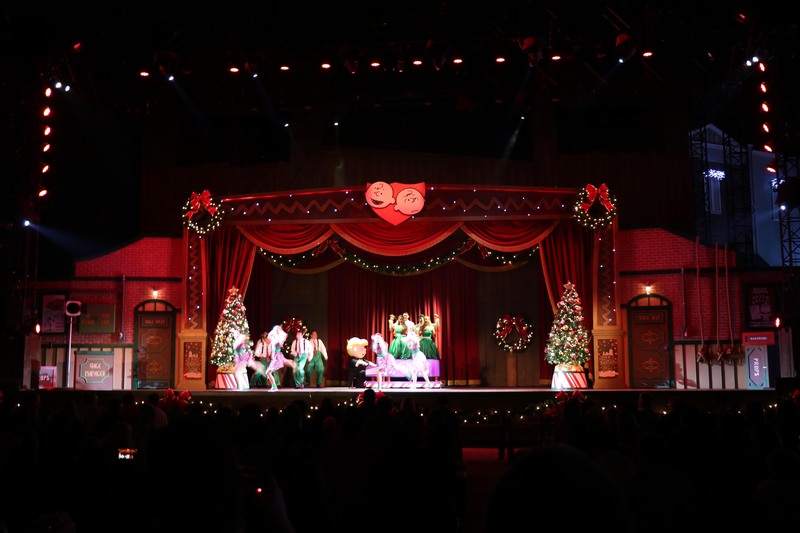 Inside this big red barn, you will find delectable treats, adult beverages and the big man himself, Santa Clause! It’s a fun little respite from the over bearing crowds at times. We may have missed it, but last year they had a separate booth dedicated to spiking your hot chocolate or your cider. Unfortunately we didn’t see it this year. Maybe it was placed somewhere else, but if it didn’t return, that would be so sad. We liked the idea of adding a bit more “Holiday Cheer” to our drinks as we traversed the park. 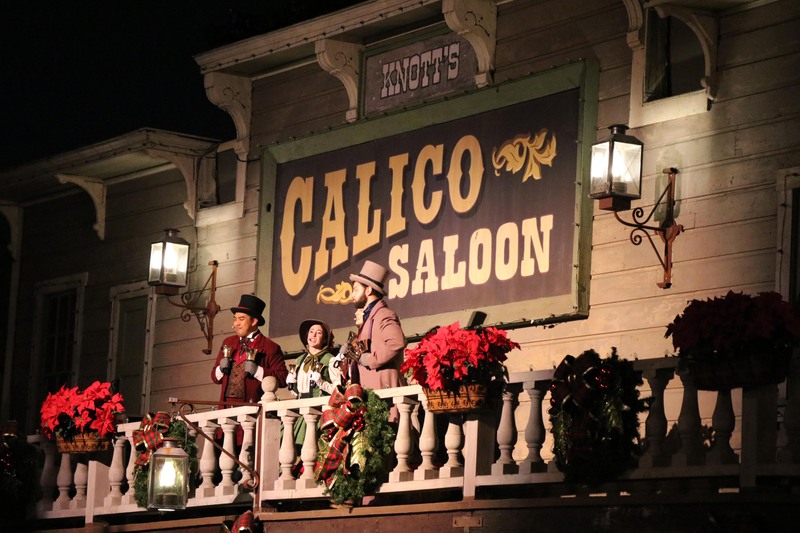 As we’ve mentioned in articles and shows past, Knott’s is simply the best when it comes to entertainment throughout the seasons. The variety and amount of entertainment offerings at the park are staggering and hard to compare to any SoCal park, in our opinions. 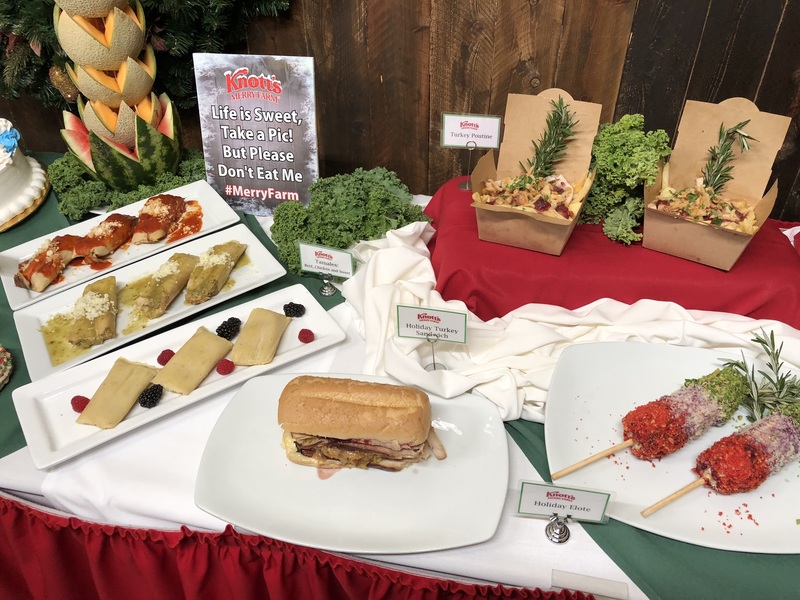 After speaking with Rovin Jay, the Entertainment Representative at Knott’s Berry Farm; we got a better sense of what it takes to create such a quantity of entrainment for Knott’s. 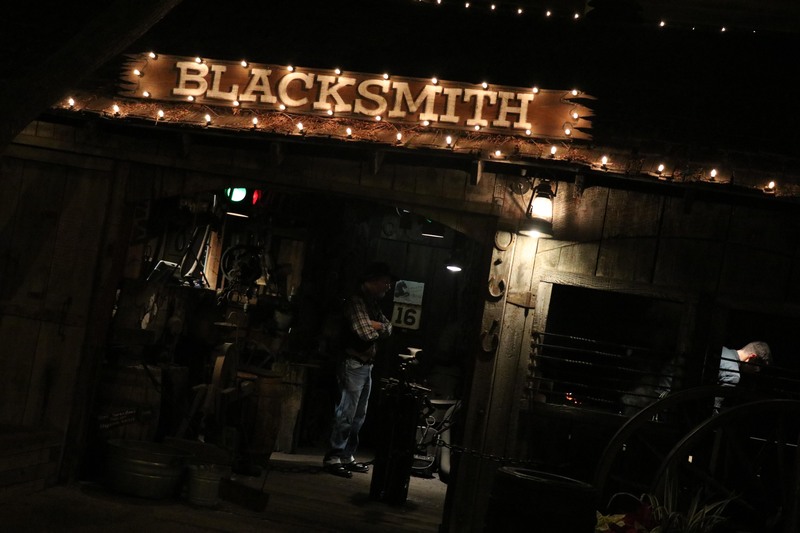 Rovin said the hardest part of creating the entertainment offerings is how to maintain what guests know and love about the previous years show, while still raising the bar on how to make it all better year by year. When looking at this years line up, that comment rings true! 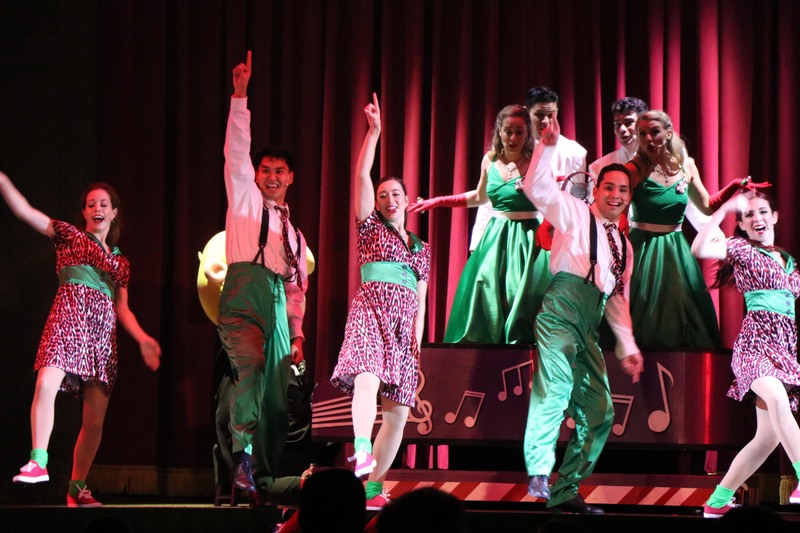 We see the return of the most popular shows in Merry Farm from previous years. 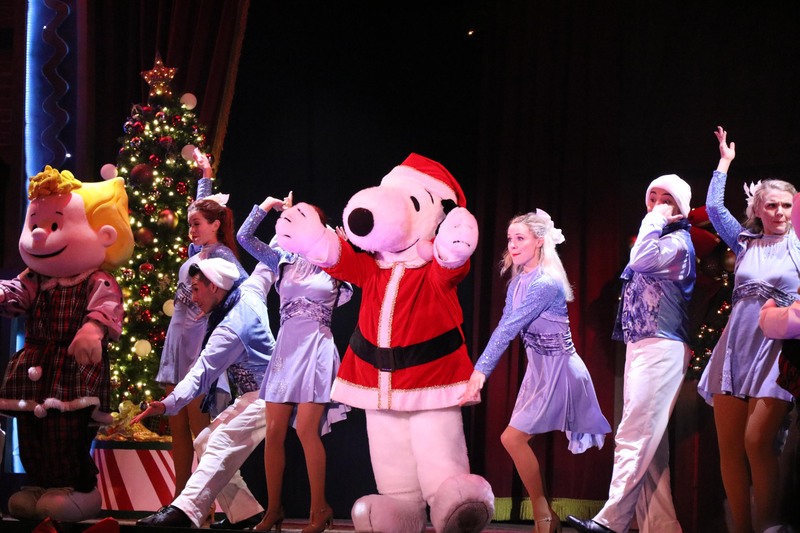 “It’s the Merriest Christmas Show Ever, Charlie Brown” and “Merry Christmas Snoopy Ice Show“. When speaking with friends who visit the park, they always mention these two shows. 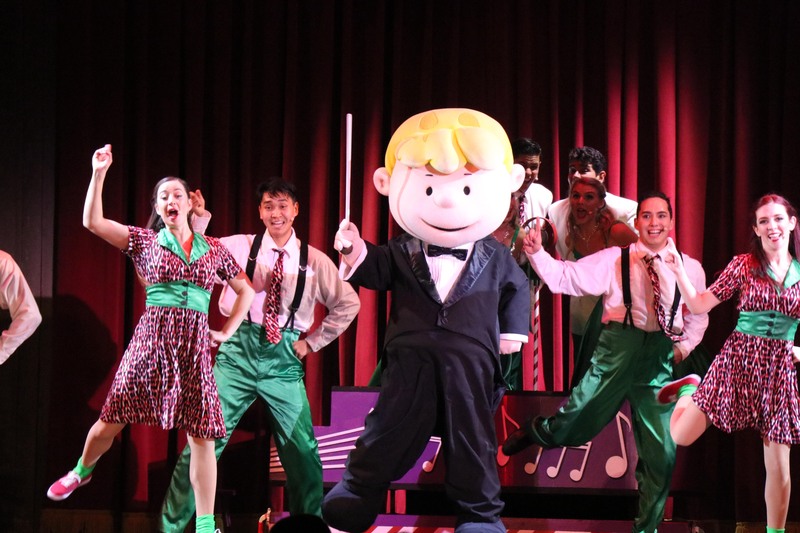 With each one of these entertainment offerings, they showcase the popular Peanuts characters! 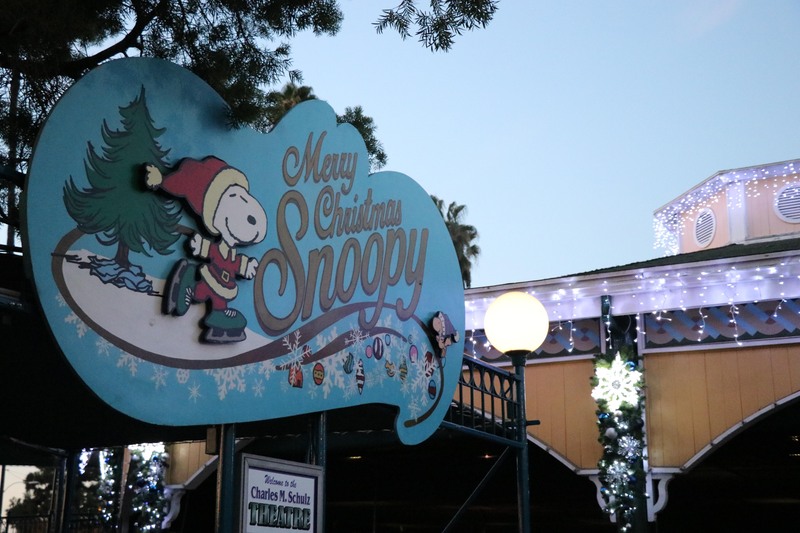 There is something inherently sincere about Snoopy, Charlie Brown and the rest of the gang that makes the shows at Knott’s Merry Farm so good. You can’t help but have a smile on your face whenever you see Snoopy lick Lucy’s face and she storms off mad. Something else Rovin mentioned was how the current management of the park truly cares and loves the parks as much as huge fans likes ourselves do. Each person deeply cares for the history of the park and takes great care in creating new and exciting offerings for guests. 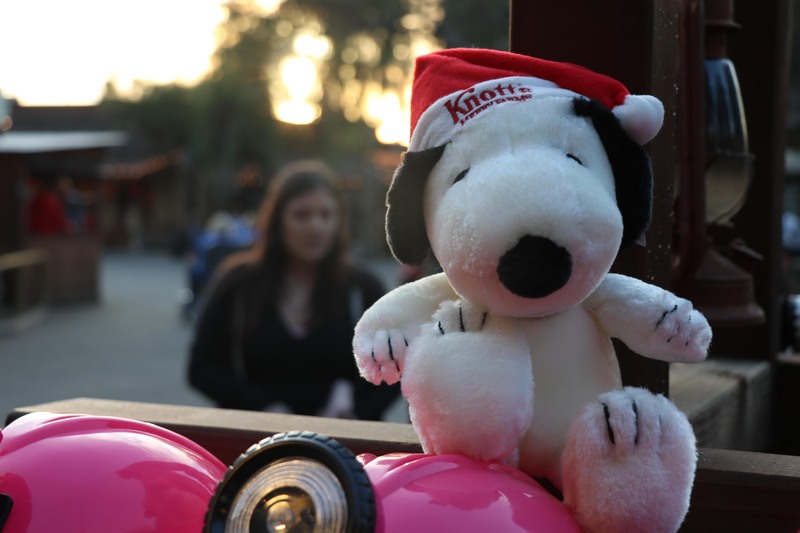 When you sit back and watch Snoopy on ice, Charlie Brown on stage or even the carolers in Ghost Town; that love for Knott’s is ever present. Along with wonderful entertainment, you can find a wonderful assortment of amazing and delectable foods available ONLY at Merry Farm. 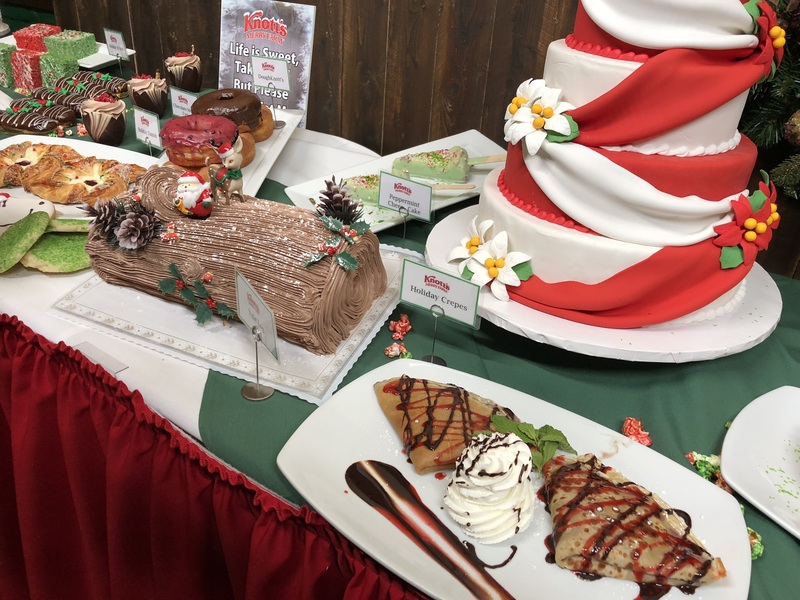 We are always impressed with the variety and inventive foods the team creates for each and every seasonal event. 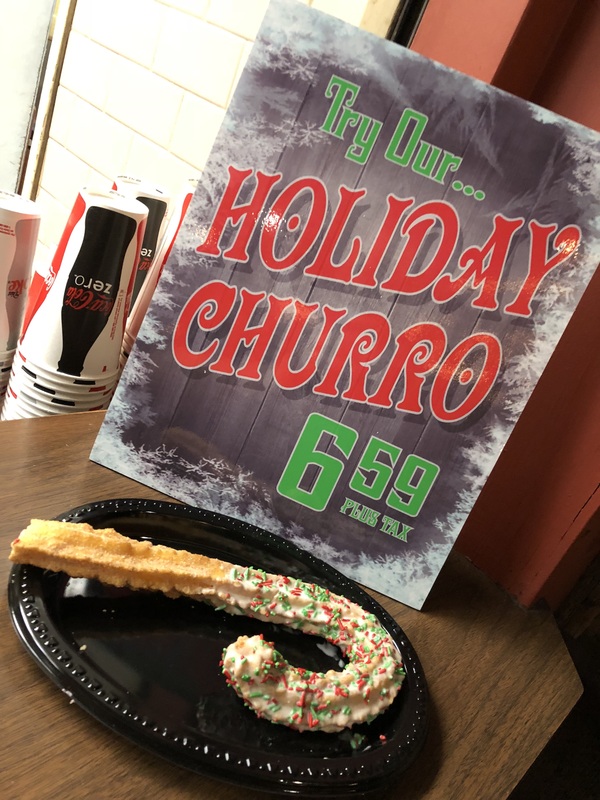 Some of the major stand out foods were the Holiday Elote, the Holiday Poutine, and the Turkey Dinner Bites. All of these are spread throughout the park for your enjoyment. It is almost like the world’s tastiest scavenger hunt! See if you can find all the different food offerings for Merry Farm and tell us what you think is best! 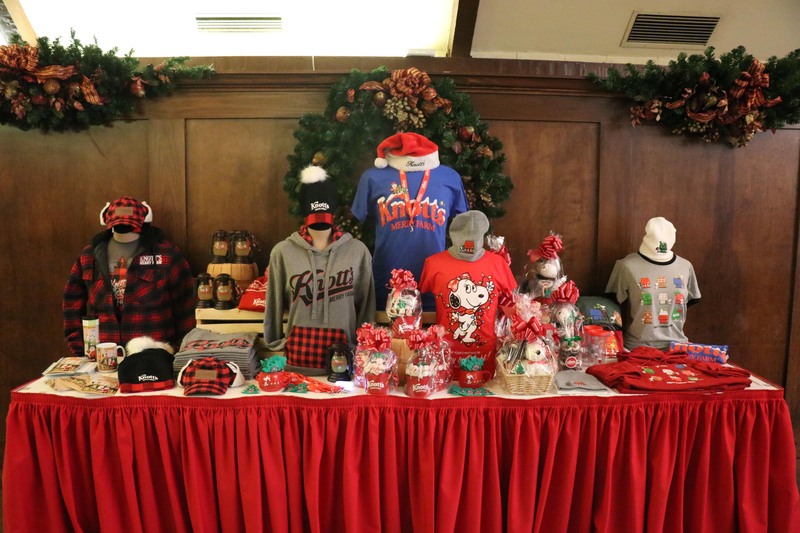 Along with food and entertainment, Knott’s tailors it’s merchandise to the seasons as well. This year there is a much wider variety of options for guests to take home. But, the one option that has become synonymous with Knott’s Berry Farm (at least for us) is the t-shirt pin combo pack! 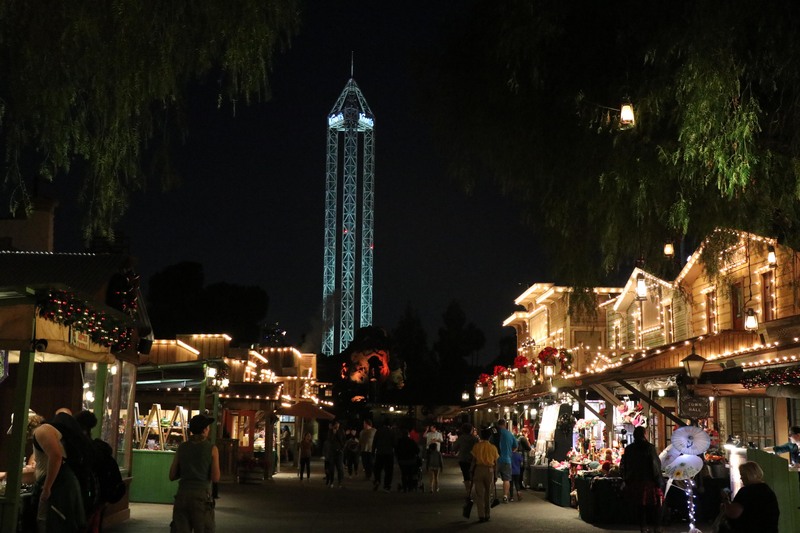 Karl Busche, Knott’s Merchandise Manager, mentioned how it was important to create such opportunities. 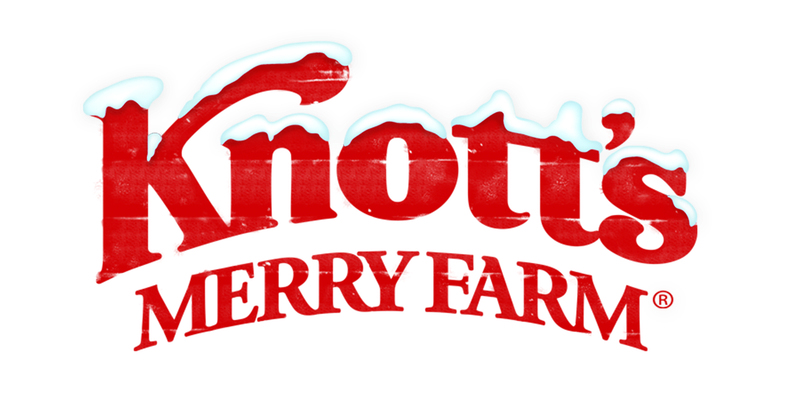 For $12.99, you get that years Knott’s Merry Farm shirt, along with a pin. To give perspective, the Mouse down the street charges more for just the shirt. We personally love how affordable Knott’s makes this souvenir for its guests. Having an affordable option for families makes us smile. Karl also mentioned how this combination purchase really brought demand back for pins. Previously, Knott’s tried to create their own pin trading system that closely resembled that of Disneyland’s; Unfortunately it never really took off, but since the implementing of the t-shirt pin combo pack, people are now interested in pins more than ever. This also led him to do similar combo packs with other pieces of merchandise like the mug. You can now find a mug filled with all sorts of goodies and a bandana for less than what a normal mug alone would cost! 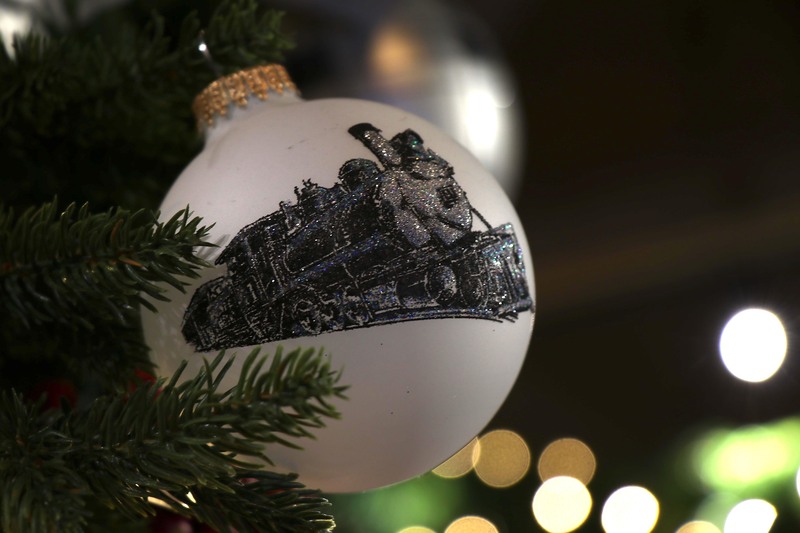 During the holiday season, these options can also become great gift ideas for the Knott’s fan in your family. We can’t share any details here, but we can tell you that Karl has some mighty fun plans for the future of pins at Knott’s. You can count on the Duo being in line to purchase them as soon as they become available. 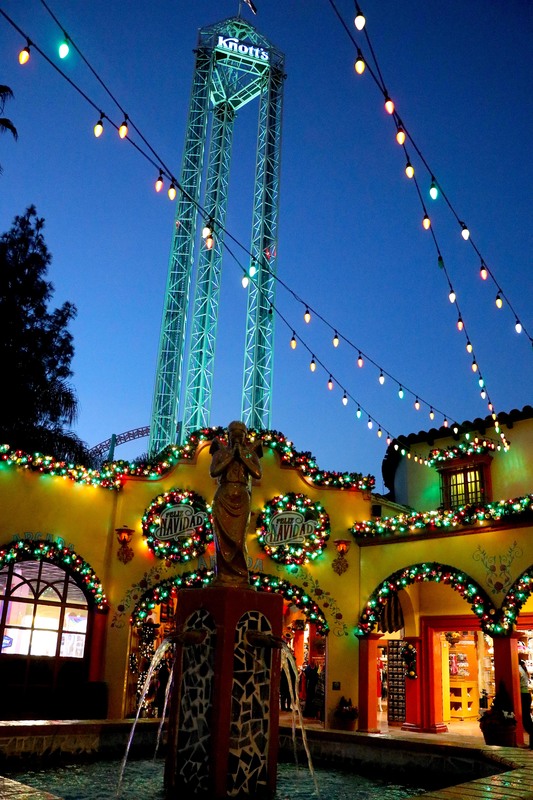 As the sun sets on Knott’s Merry Farm, the lights on the awnings and rooftops shine bright! Having the bright stringed lights on the old buildings in Ghost Town feels just perfect. On a cold and crisp winter night, the ambiance created by the lights, buildings and music make you want to bundle up with loved ones and drink a nice warm drink. 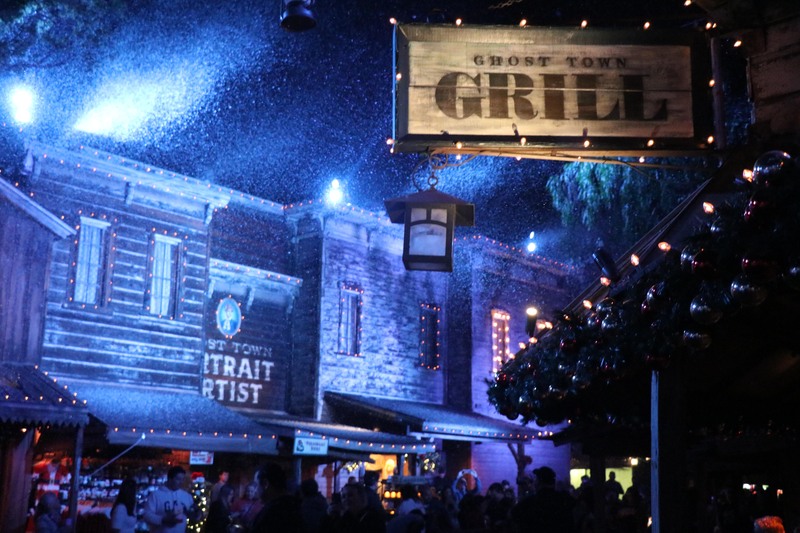 As if it wasn’t already perfect, Knott’s brought back their Snow and Glow in Ghost Town show. A brief 5 minute show that takes place on the Ghost Town Main Street and Schoolhouse Road, Snow and Glow sets the mood with emotions Christmas music, synchronized lights and covers guests in (snoap) snow! Although short, it does pack an emotional punch in our opinion. To us, it’s one of those magical moments that you can remember forever. We think the brevity of the show works, but we would really love to see an extended version of the show in years to come. More songs, more lights and more snow! 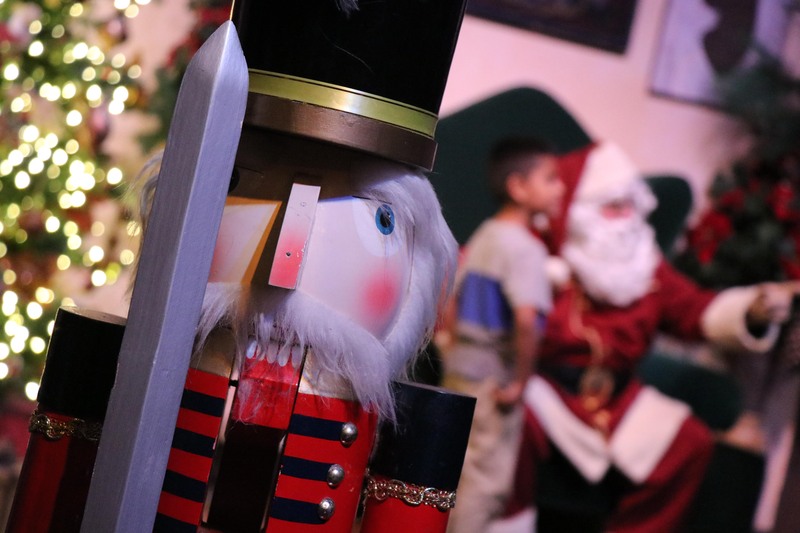 Making it the epic finale to guests day at Knott’s Merry Farm. This years event is so large and covers so much ground, we are shocked at how cohesive it actually is! 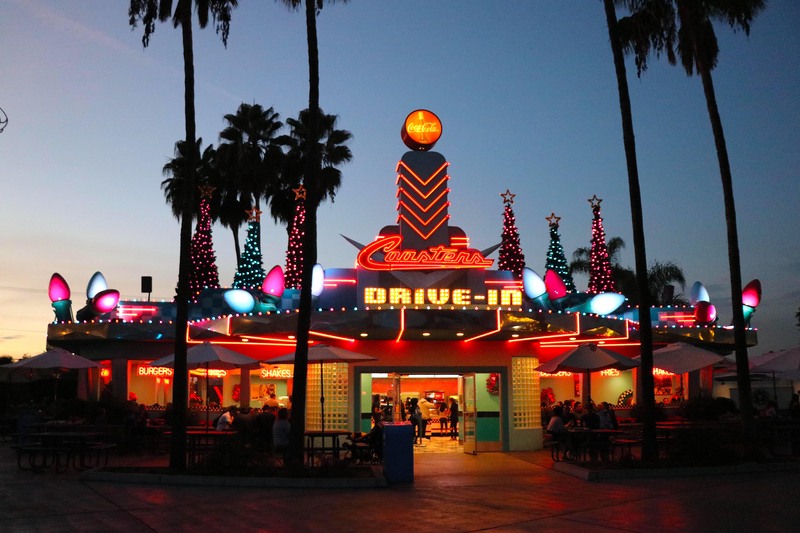 If anything, it would be great to see rides be affected by the Christmas celebration. Even if it’s as simple as adding Santa hat’s to animatronics or even a full ride layover for Log or Mine Ride. One ride that WAS affected was Hangtime over in Boardwalk. 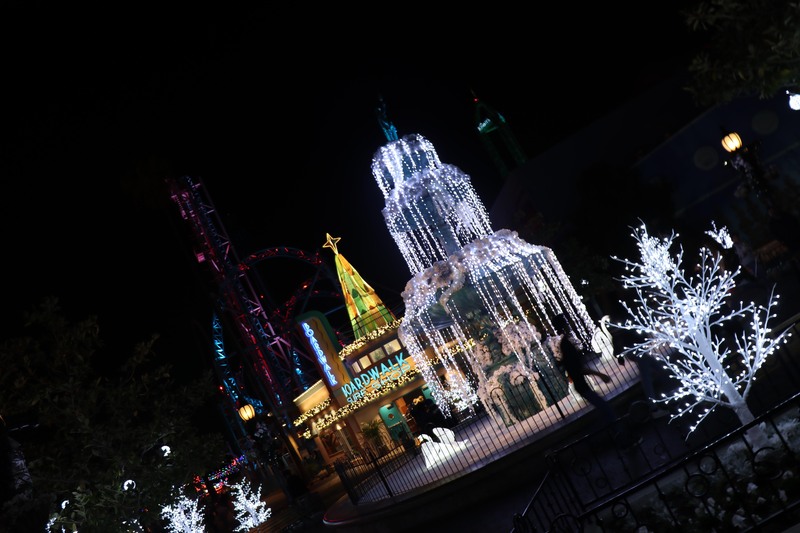 Because of its impressive lighting package, the team at Knott’s was able to give it some holiday magic. Through the night, the lights on Hangtime will occasionally change in unison with the music playing on boardwalk. Or at the very least, change to Christmas colors. 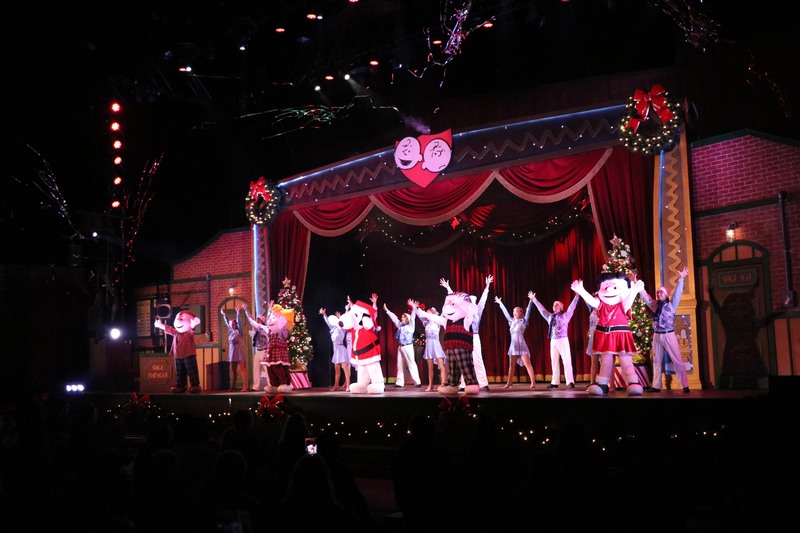 Knott’s Merry Farm thrives in its warm spirited atmosphere by creating entertainment and shows that are rooted in tradition. Every aspect of Merry Farm was perfected to help create a warmth that is hard to replicate. Standing in the middle of Ghost Town, listening to Christmas music as it snows is such a perfect magical moment. 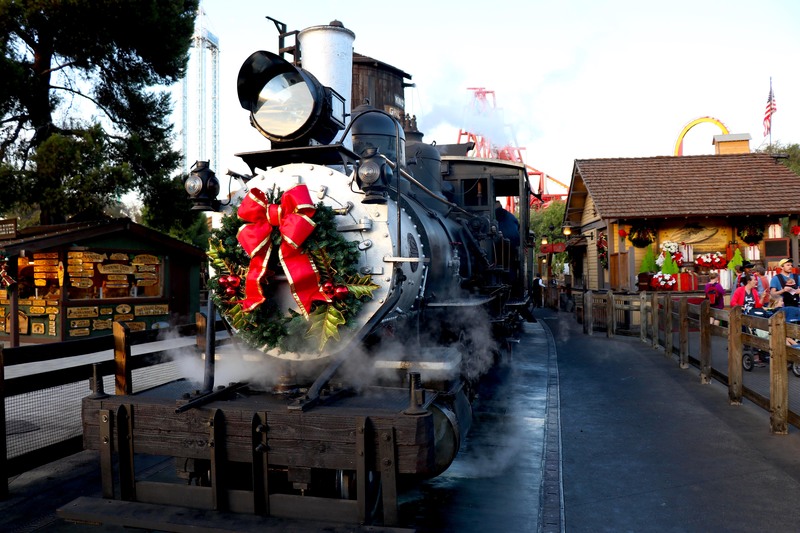 If you want a traditional Christmas celebration, look no further than Knott’s Berry Farm during the holidays.